I can't stop thinking about that time I grilled prawns for Whole30 and it basically changed my life. Do yourself a favor and make these prawns. Like, now. Recipe by Bon Appétit Magazine. 1. Prepare grill for medium-high heat; oil grate. Combine garlic, parsley, red pepper flakes, and 4 Tbsp. oil in a medium bowl. 2. Working one at a time, use kitchen shears to cut along the length of the back of each prawn just deep enough into flesh to expose vein; remove. Toss prawns with remaining 2 Tbsp. oil in another medium bowl; season with kosher salt and pepper. 3. Grill prawns, turning occasionally, until shells are bright red and meat is cooked through (it will look slightly opaque), about 5 minutes. 4. Transfer to bowl with garlic-parsley mixture and toss to coat; season with kosher salt and pepper. 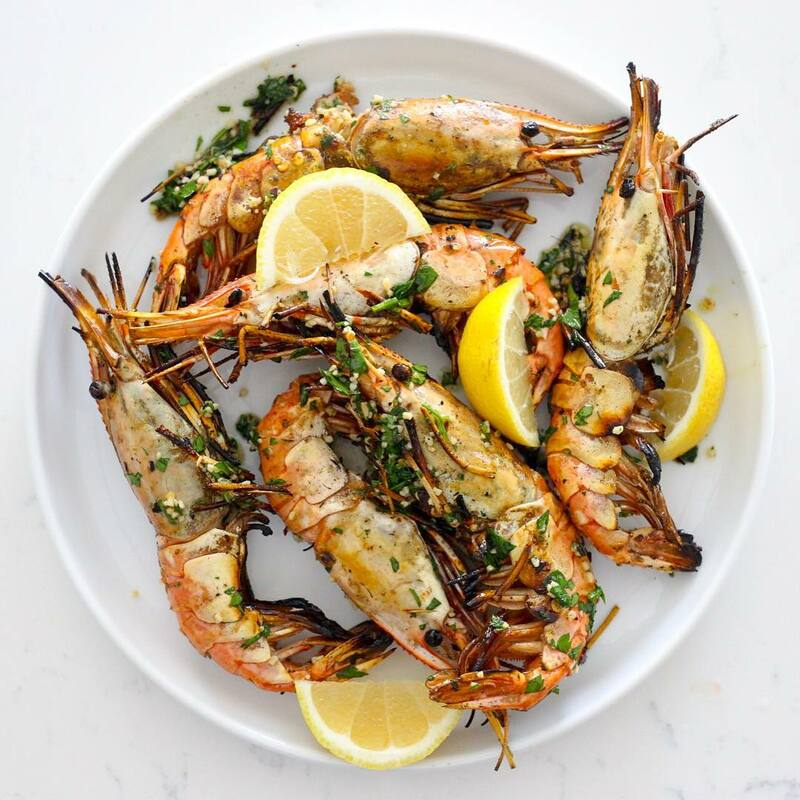 Transfer prawns to a serving platter and pour garlic-parsley mixture over; sprinkle with sea salt. Serve with lemon wedges for squeezing over.